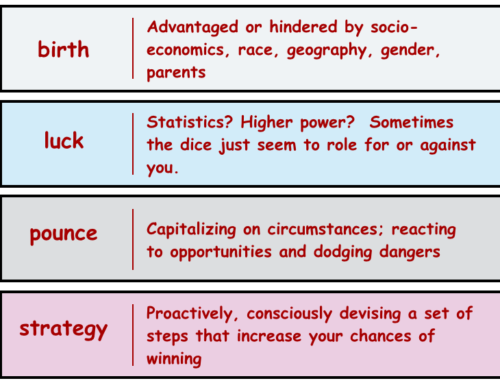 The Best Reality Learning “Game” Ever? Home/Big Issues Facing Education, Innovation in Education, Uncategorized, Vision and Strategy/The Best Reality Learning “Game” Ever? Students learn best when they are wrestling with problems in which they find relevance, in which the intrinsic motivation to learn outpaces the extrinsic motivation of a higher grade. What if we took them into a real-life disaster movie, one where the nerdy scientists predict the end of the world, politicians yell at each other, some people go about their lives in hopes that the worst will not befall them, while others pack up the RV to find a new place to live out the apocalypse? How does weather impact geography? What is GDP and why should I care? 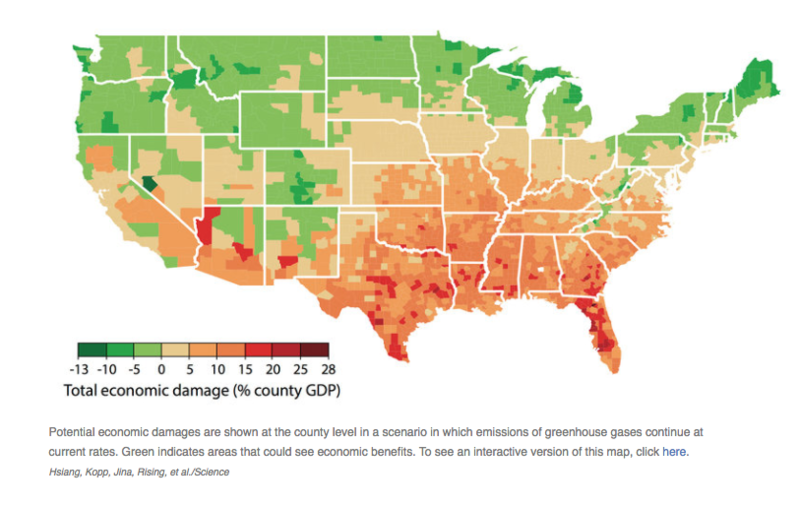 What local and regional economics are more and less impacted by climate? Why are some areas of our country rich and others poor? Why do some people believe this map and others don’t? What does this mean to me, my family, and our community? Who is supposed to make sure bad things don’t happen to me? What can I or we do? Many or our students spend hours a day playing video games; some, like Minecraft have real education value. “Global Climate Change” is the ultimate Minecraft spin-off. If you believe climate change is real, then real people are going to succeed and fail, live and die based on how we play the game. If you don’t, then there is a rich thread of sinister intrigue to be found and unwound. If you like to win, there are huge opportunities waiting for the first and most brave. And if you are afraid of losing there are potential monsters lurking in the future: famine, pestilence, poverty, floods, death. What student is not motivated to dig into winning, losing, intrigue, life, and death, all playing out in real time on the daily news feeds and their own social media feeds? Are the data completely accurate? Probably not; it is a first step, and will be revised many times as conditions and understanding change…just like any good, real-world learning. Is it true? What a great question to provoke further investigation, synthesis, discourse, argument, discussion, presentation, defense, and deeper dives. Ultimately, here is the question we all should be asking: Is what students are going to learn at school next year more important than the questions embedded in this data set? Will students learn what they need to know better by reading a textbook, or by helping to write the screenplay of potentially the greatest disaster movie, reality game, or conspiracy in the history of the world? 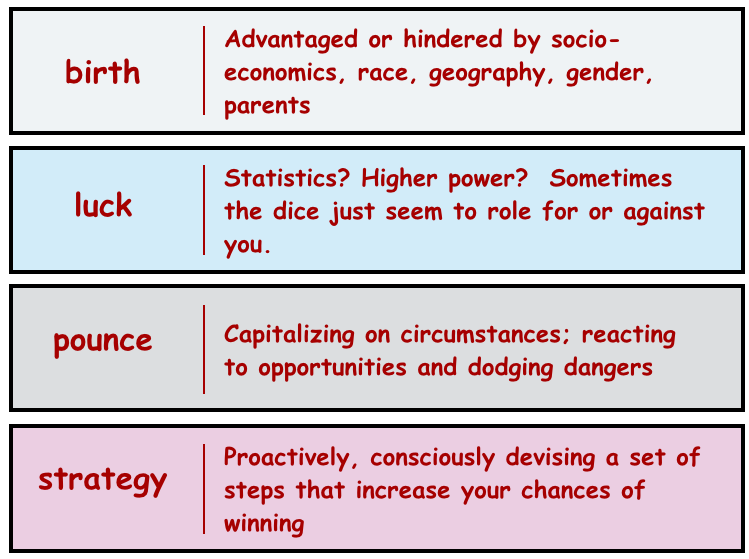 Who is going to step up and create this next version of John Hunter’s epic World Peace Game, and prove that learners of all ages learn best when we let them take on the really big challenges our world faces?